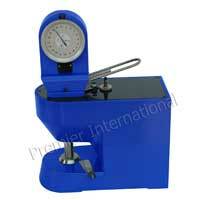 The Thickness Micrometer is a manual Hydraulic controlled dial type. Lowering speed of the measuring spindle is hydraulically controlled in the Thickness Micrometer. The Thickness Micrometer has a hardened and lapped measuring face. 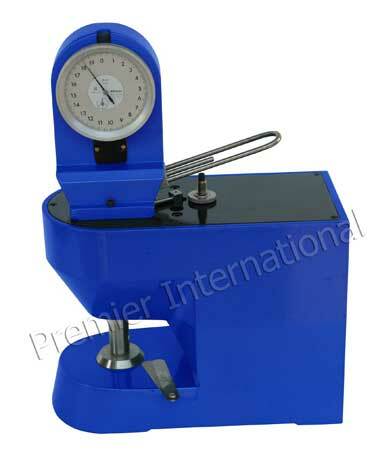 The Thickness Micrometer is also provided with dial type indicator. The Thickness Micrometer has a resolution of 0.001mm and 0.01mm. The Thickness Micrometer is used in the Paper and Packaging industries. The range offered by us includes Motorized Thickness Micrometer and Manual Thickness Micrometer.